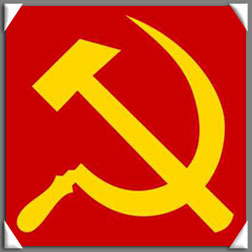 DAVAO CITY (Mindanao Examiner / Oct. 3, 2011) – Communist rebels simultaneously raided Monday several mining firms and seized several guards before setting on fire trucks and other equipment in the southern Philippines, officials said. Officials said New People’s Army rebels attacked Taganito Mining Corporation, Platinum Group Metals Corporation and THPAL Mining in the town of Claver in Surigao del Norte province. There were no reports of civilian casualties in the daring attacks that occurred during a renewed military offensive in the restive region where rebel forces are still holding a town mayor, two soldiers and four jail officers. Officials said more than 200 rebels were believed involved in the raids. The attacks, officials said, were connected to failed extortion by the NPA. Executive Secretary Paquito Ochoa, Jr. said the attacks will not deter the government from luring investors into the country. “This incident is an isolated case and the business community and the public can be assured that the government is on top of the situation, and that this will not deter this administration from luring investors into the country to help spur the economy and improve the lives of our people,” he said in a statement sent to the Mindanao Examiner. He said the situation in the area has been contained. “We are now exerting efforts to ensure that those responsible for these attacks are brought to justice,” Ochoa said. The rebel group has previously blamed mining companies for pollution and destruction of environment, mostly in tribal areas in Mindanao. In May, rebels also attacked a US mining firm called Racel Mines and Minerals in Compostela Valley province, killing a security guard and seizing automatic weapons from its arsenal. “The Aquino regime has accelerated the sellout of the national patrimony, especially in the mining, agriculture and energy sectors. In the provinces of Compostela Valley, Davao Oriental, South Cotabato, Surigao and in the district of Paquibato in Davao City, foreign large-scale mining companies and their big bourgeois comprador partners have been permitted to explore, extract and export as raw materials the area’s ore deposits. Small-scale miners, peasants and whole indigenous people communities are nowhere in the agenda of the US-Aquino government,” Rigoberto Sanchez, a rebel spokesman, said.